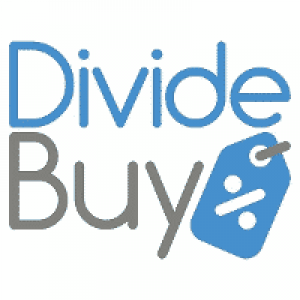 It's a concept which runs like a pay monthly catalogue, a company called Dividebuy will offer you a credit facility which you can use across a range of websites for items like Car Tyres, Toys, Garden Furniture, Electrical products, pretty much anything you like. Divideby offer a pretty easy to complete application, they talk about Interest free credit and how easy opening an account is. You get a members area to login and you can set up repayments by continuous authority using a debit or credit card. But back to the application, we completed the application was offered to either pay a small deposit (upfront payment) or provide a guarantor, this is for an item which cost just over £100. We went ahead and ordered our item and paid a premium for delivery to ensure faster delivery. The delivery didn't arrive on time, in fact, it took a week longer than it was supposed to, I contacted the company who told me to contact the Store in question, I was promised a refund for the delivery costs but that never materialised. Trackpack blamed Dividebuy for offering this option which couldn't be removed. I just wanted my postage premium repaid but there you go. If you do go ahead and order, just use standard delivery to be safe. We paid a small amount upfront according to them because of our credit status (That's strange, no one else asks us to pay anything and we hold a range of products) but anyway, we did enjoy the full 4 months interest free. The concept is pretty good, they have many outlets, however, unlike a catalogue, you appear to need to reapply each time you wish to spend. You do get a credit limit, it's called a Ghost limit, mine's £5000, it means nothing, on a recent attempt to place an order from a different retailer we was once again asked to either pay something up front or find them a Guarantor. In their own description, a Ghost credit limit means a limit that based upon your last credit check and payment history, it's not guaranteed and doesn't actually mean anything. Someone else I know who has slightly average credit was asked to provide a Guarantor before a decision could be made. The idea is good, the choice is brilliant, we had no issues dealing with the company, they seem to be offering a genuine service, they didn't credit search me or report back to any of the credit reference agencies, although in the terms and conditions it says they do. 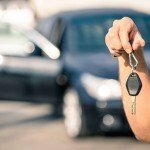 Overall, if you are thinking about Divideby then I can recommend them as being a good finance company, they didn't do anything to upset me (That can be pretty tricky) but the concept of having a Ghost Limit annoys me, if they aren't going to be happy to lend without a Guarantor or revised upfront payment, take that away! You can find more out about Divideby here. A great concept, order from literally hundreds of websites and spread the cost.